4.39 out of 5 stars on Goodreads! 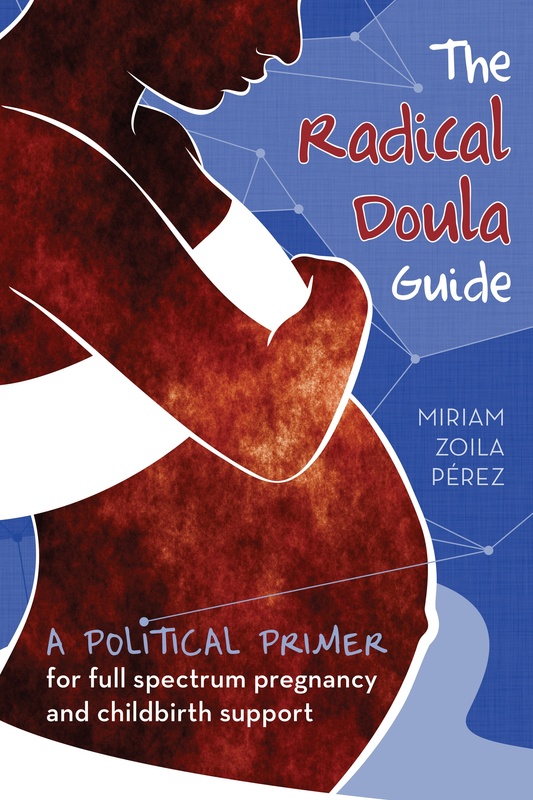 In August 2012 I published The Radical Doula Guide, a 52 page political primer that addresses the political context of supporting people during pregnancy and childbirth. The guide provides an introduction to full spectrum doula work—supporting people during all phases of pregnancy, including abortion, miscarriage, birth and adoption—as well as a discussion of how issues like race, class, immigration, gender and more affect our work as doulas. You can read an excerpt of the introduction published at Womens Enews. With the help of my community I raised over $4000 to support the printing and creation of the guide. Thank you to everyone who supported this project! Want a copy? Order one online here. Cover design by Joy Liu of Swash Design Studio. I’m working on a way to collect online orders. Check back in September! Yes international orders will definitely be possible–just might include extra for shipping. Thanks for your interest! Is there a way to order this text and pay through paypl? Sure! Just email me at radicaldoula@gmail.com and I will give you the details. Please include the number of guides you’d like to order and where they will be shipped to. Hi! I was wondering if I could purchase this as an online text rather than a book version? Unfortunately not yet. Probably eventually I will make an e-copy available, but for now there are only printed copies available. Thanks for your interest! Missed the fundraiser for extra copies 😦 – any chance at purchasing pdfs? or any plans for another printing? Not yet, but I’ll keep you in mind! I think I’d need to update the content to make it relevant outside of the US context if I translated it. Yay spanish-speaking doulas! Hello! Are you still selling The Radical Doula Guide? I would love to have a copy!